I know my last couple of posts have been pretty exciting (Osborne House might have even been a little too thrilling for some of you), so I’ll tone things down a bit this week with a triumvirate of posts (this weird usage will make sense when you realise the subject matter, I promise) on local museums in Hertfordshire and Buckinghamshire. 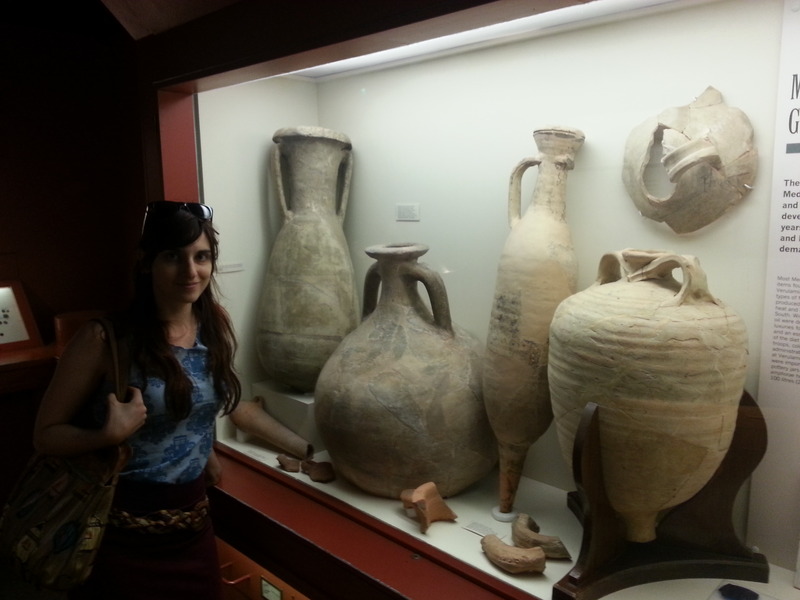 The first is the Verulamium Museum in St Albans, which I visited with my boyfriend a few Saturdays ago. Regular readers of this blog will know that I am a fairly cantankerous individual, and that the list of things I don’t like is a long one, including, but certainly not limited to: butterflies, the outdoors, using the phone, stone circles, and obnoxiously large fonts. 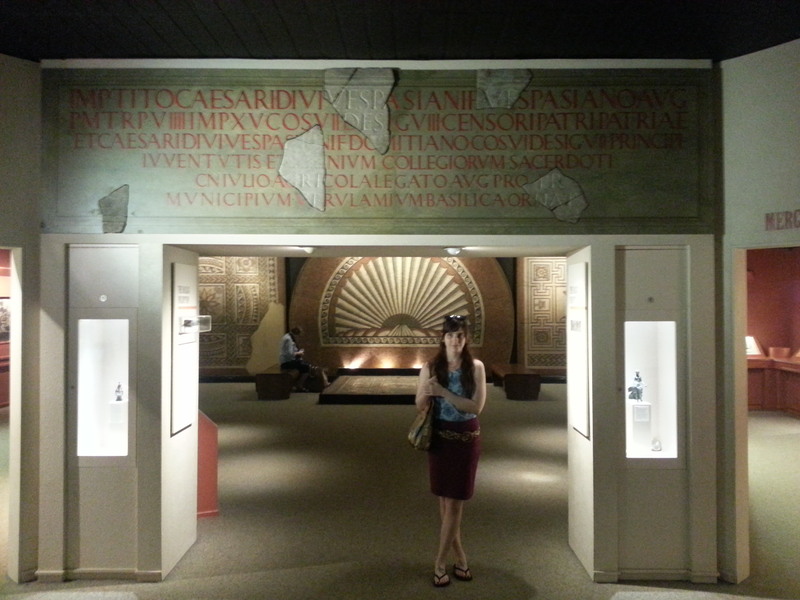 Well, I may have not mentioned this before, but you can add Romans to that list. I don’t really have anything specific against the Romans, I just find them kind of dull (aside from a handful of the crazier emperors). I”m not entirely sure why, as you’d think an entire civilisation of people who were essentially suffering from lead poisoning would be right up my alley, but I could never summon up much enthusiasm for anything before Medieval England, and really my jams (to incorrectly use the parlance of the kids) are the Georgians and Victorians. 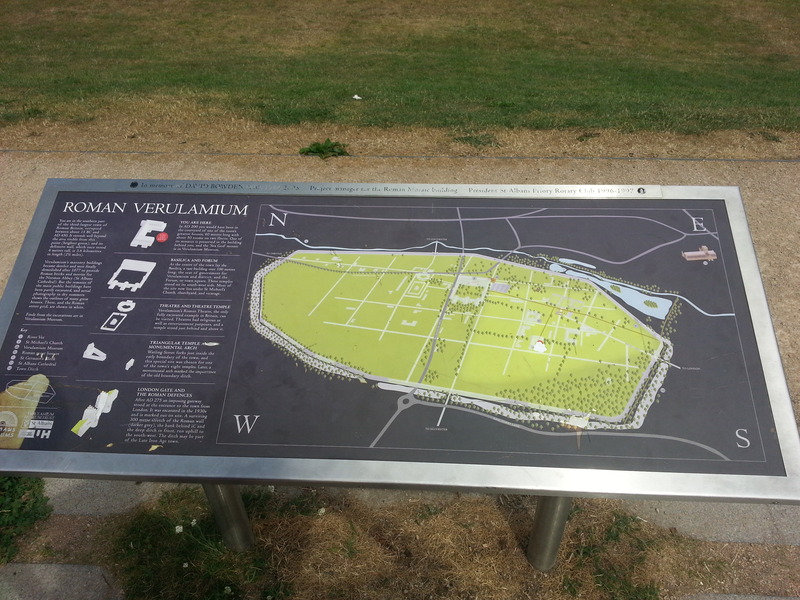 But St Albans is very much a Roman town, and there I was at the Verulamium, so I reckoned I might as well make the best of things. When we arrived, the adjacent parking lot was full, so we had to park a few blocks away. I imagine most of the people were probably using the nearby park, as the museum was fairly empty. 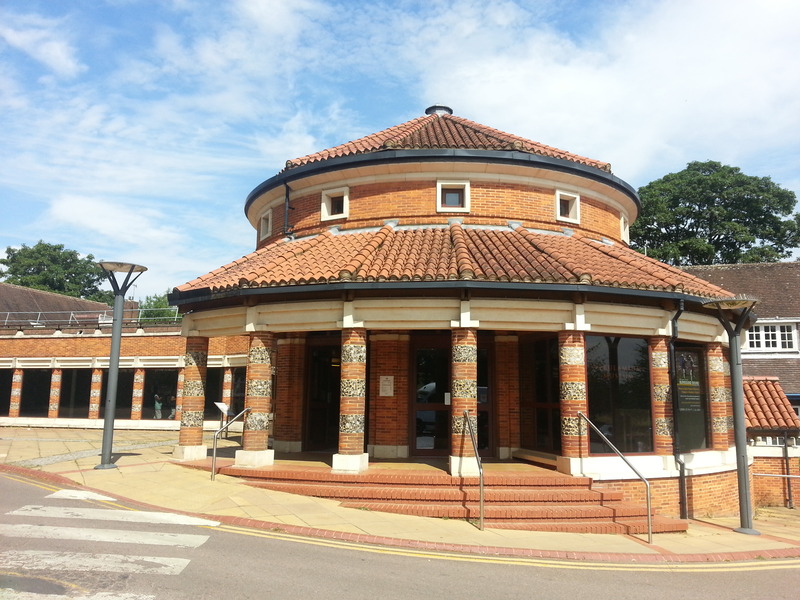 Admission to the intriguingly circular museum is £3.80, and a heads up (because I know I was searching for them) – the toilets are right by the entrance, down the stairs at the front of the gift shop, not in the actual museum. 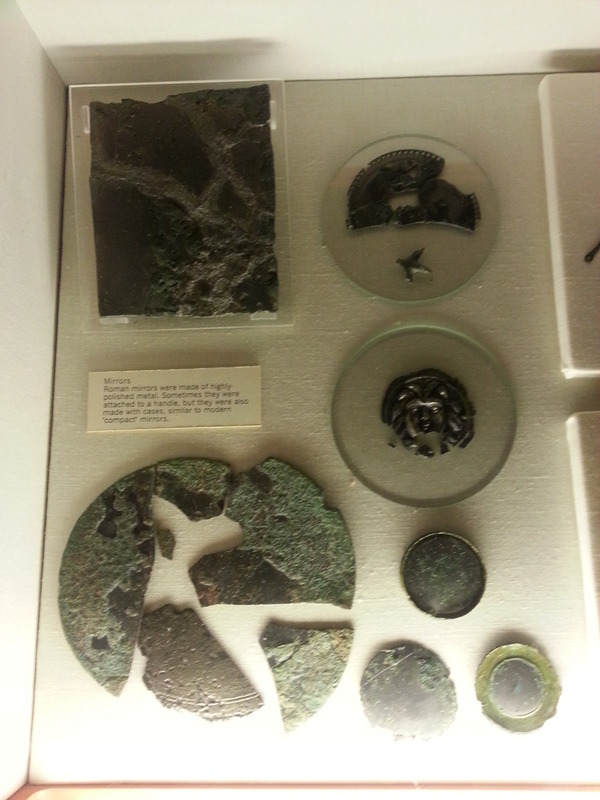 The first gallery was an introduction to ancient settlement in St Albans, which was known as Verulamium (hence the name of the museum, which is perhaps obvious, but my Latin is not great, and I thought it was maybe some sort of Roman term for a special kind of museum, although museum IS Latin, so I really don’t know what I was thinking. Probably best to just ignore me on this.). 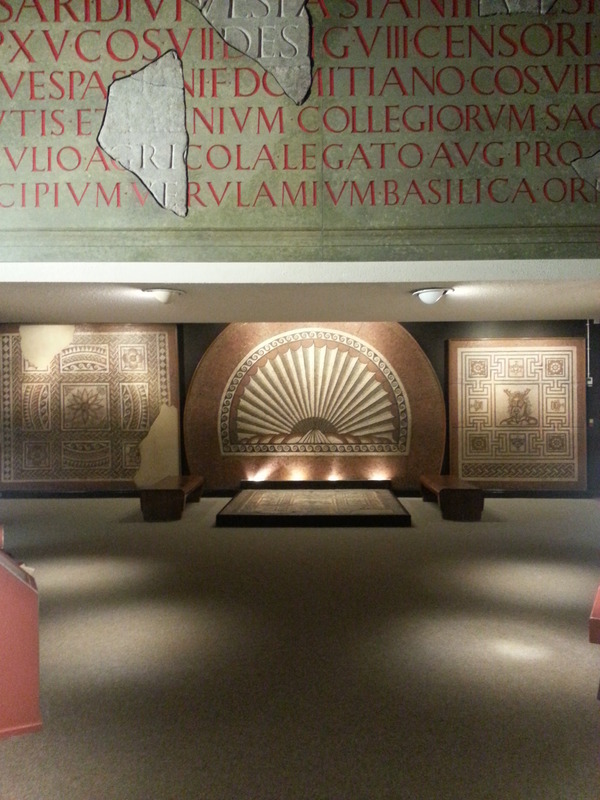 The museum then opened up into a neat little rotunda, with various galleries leading off from the centre, each covering a different aspect of Roman life (and death), from money to merchants, to religion and entertainment. 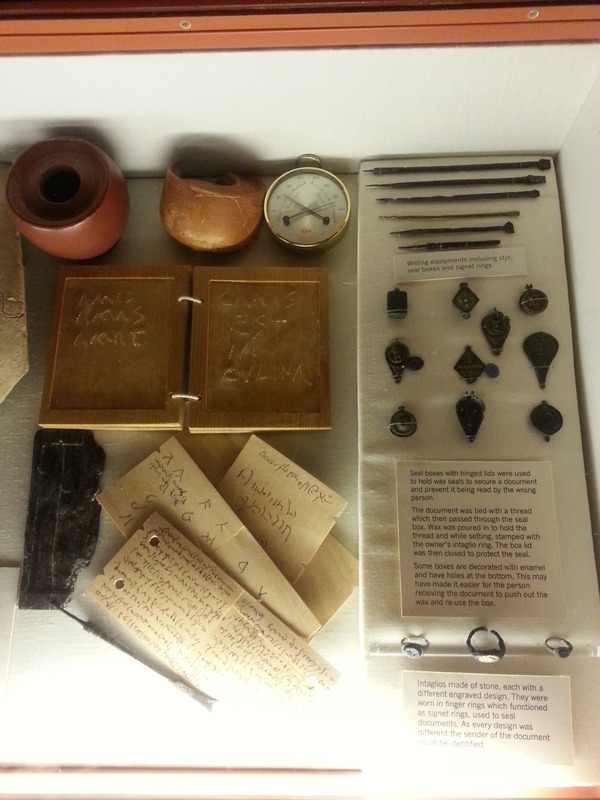 Every topic was illustrated with a number of artefacts that had been found in St Albans, clearly a rich source of Roman treasures. 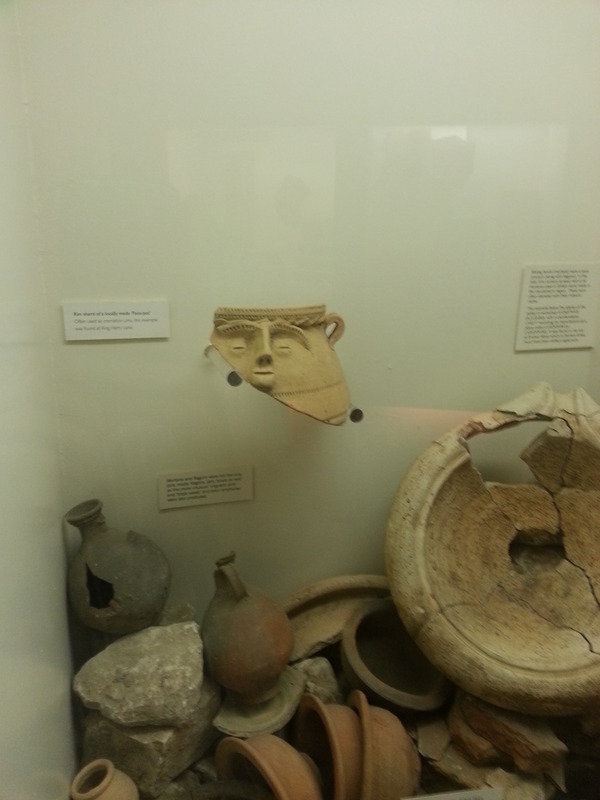 I think my favourite objects were the brooches and the whimsical face-jug, which can be seen above. Perhaps it is a less frightening ancestor of the Toby jug? 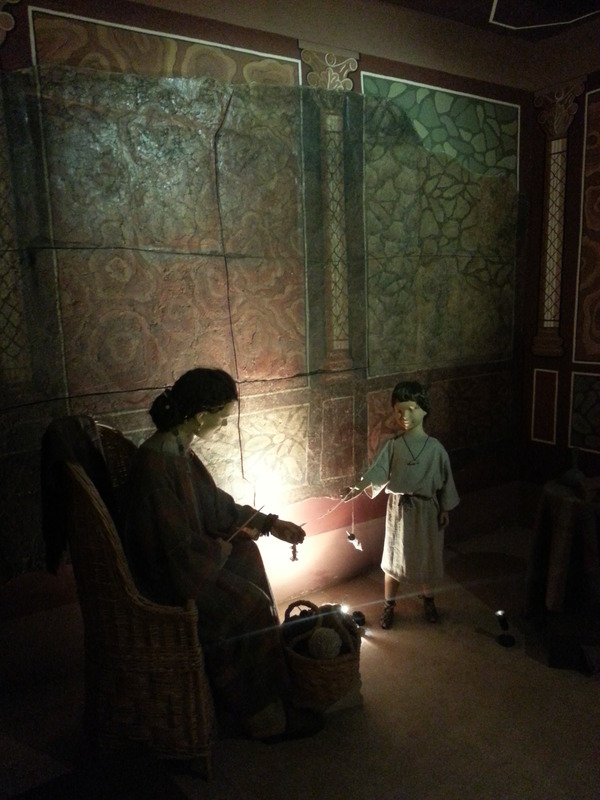 The best gallery had to be the one with life size dioramas of Roman life, since all you readers will of course also be well aware of my fondness for wax figures. 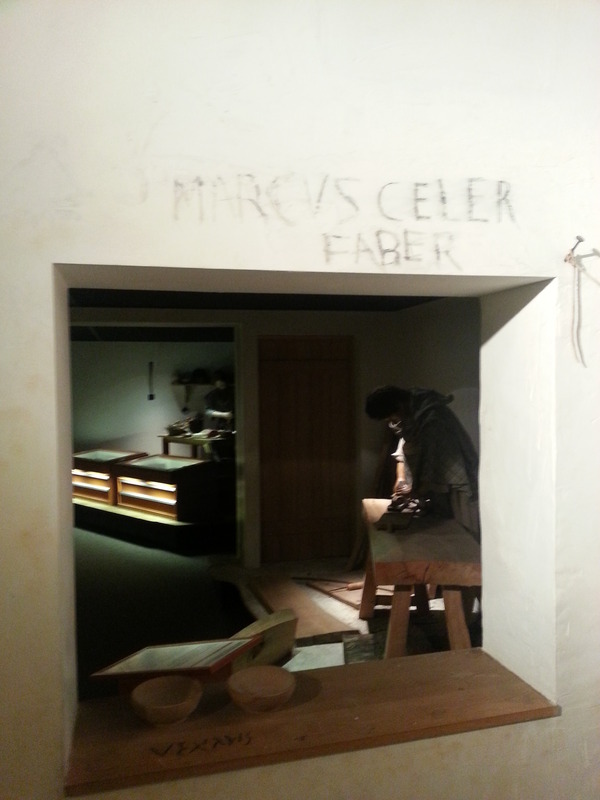 There was even some “ancient” graffiti on some of the walls, (the example shown here even included my boyfriend’s name) but no authentic smells (and believe me, I sniffed my way around the place). Though I’m not that sure what authentic Roman stink would consist of, since they had good plumbing, and most authentic smells seem to be largely poo-based. Liquamen maybe? 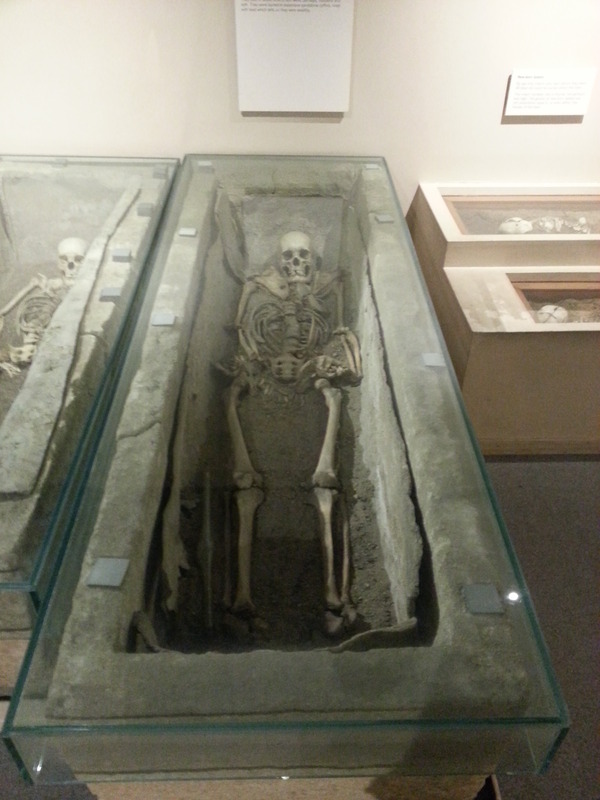 Whilst I’m still not a fan of the Romans, the Verulamium Museum did win my heart with the use of a pun in the burial section. 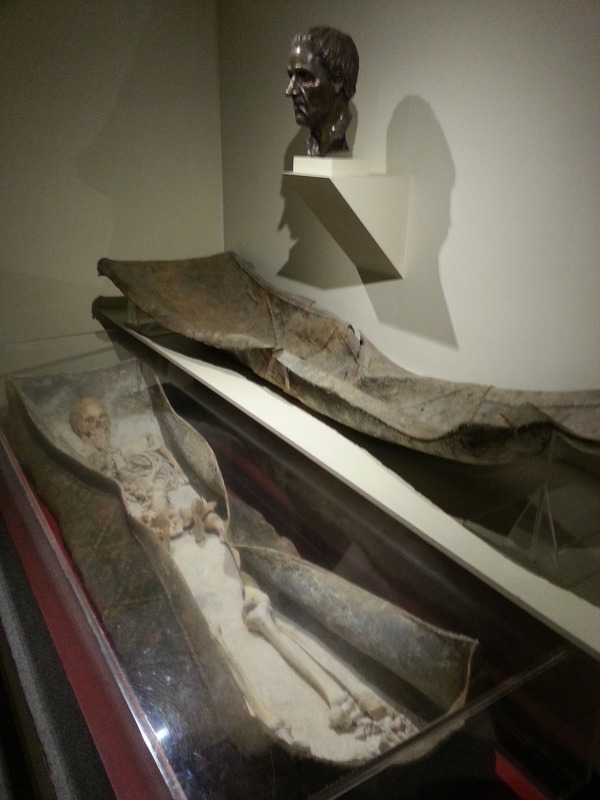 There were a few skeleton-filled coffins on display, but only one of them was given a name, that of Posthumus, Roman aristocrat. I mean, come on, isn’t that a good pun/name? They’ve even reconstructed a model of his head based off his skull, and have put together a video where an actor playing Posthumus walks around modern St Albans. It was pretty delightful. 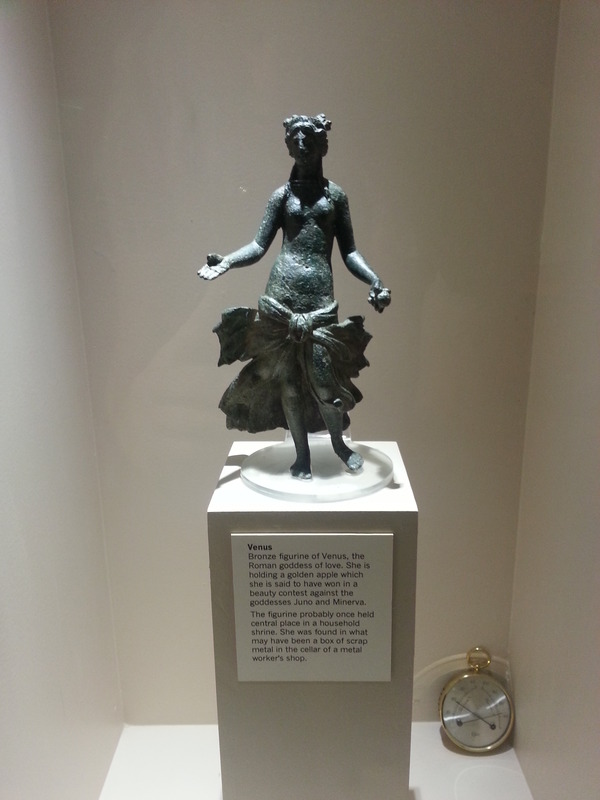 Another important object in the museum is the Verulamium Venus, who is of course the Roman goddess of love, rendered in bronze. 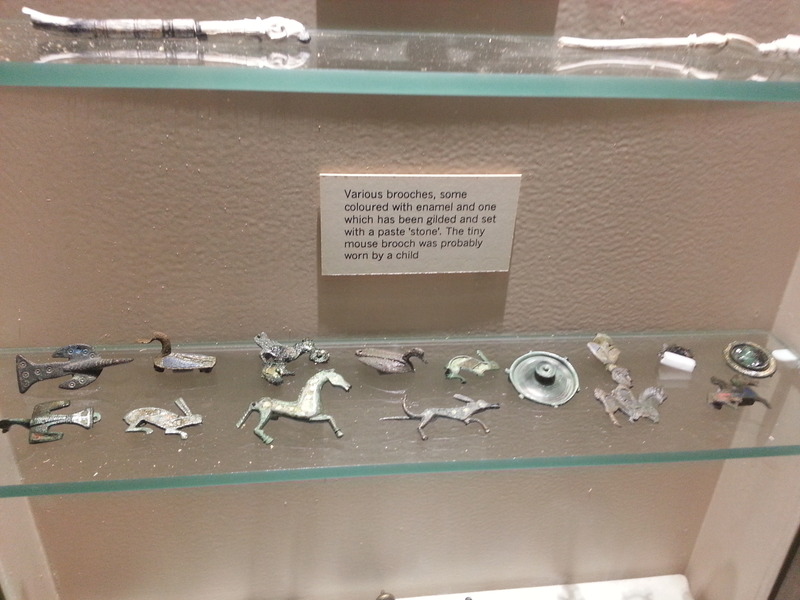 I overheard one of the museum staff telling a man that she was twice stolen from the museum, but is simply too well known of an artefact to be sold, and was thus returned to the museum on both occasions. 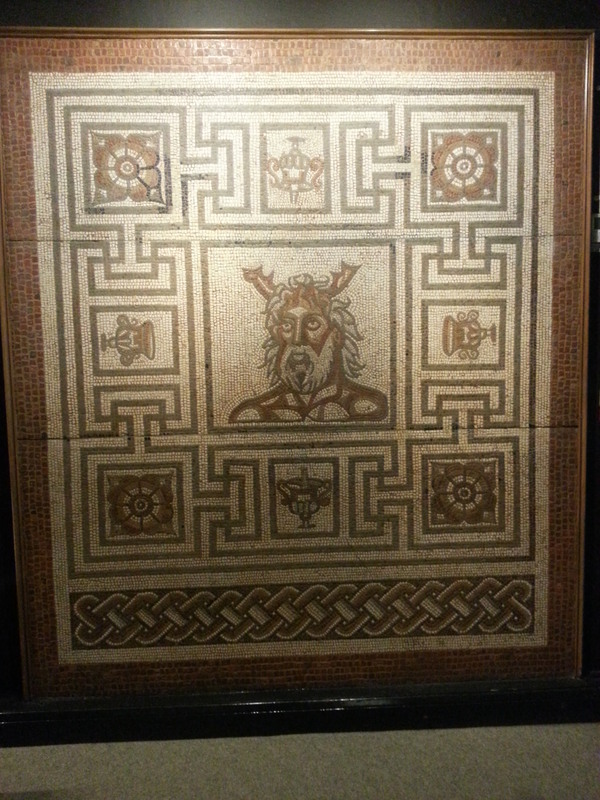 The back wall of the museum is dominated by a collection of excellent large mosiacs, including the shell motif, a lion and stag, and, my personal favourite, the Sea God, pictured at the start of this post. Scroll back up and have a look at him, and I think you’ll see why. 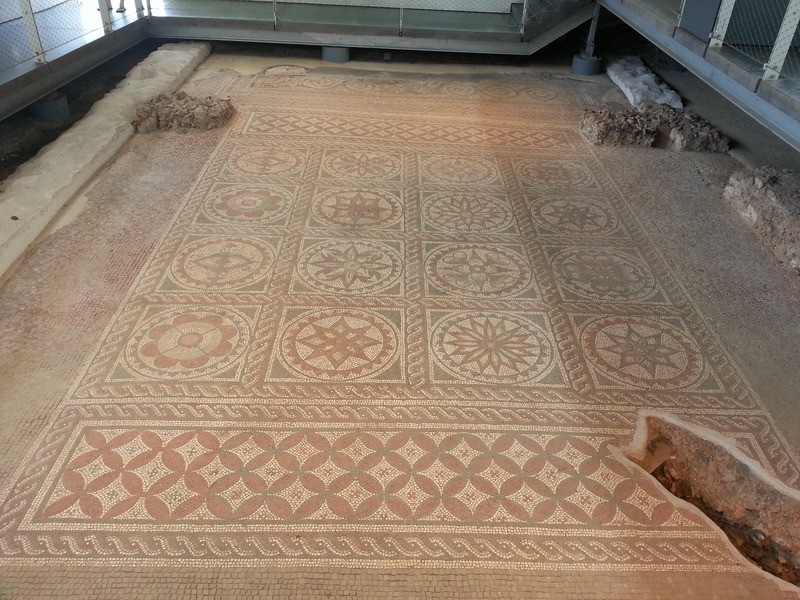 After leaving the museum, we cut across the surprisingly large and well-equipped park to check out the ruins of a hypocaust and a tile floor that are preserved beneath a modern building. There’s a couple of informational posters inside the building, but the main attraction is clearly the floor, which the walkway carefully steers you around. The Romans may not be my cup of tea, but it is undeniably cool to see something that old just hanging out in a public park in the middle of England. 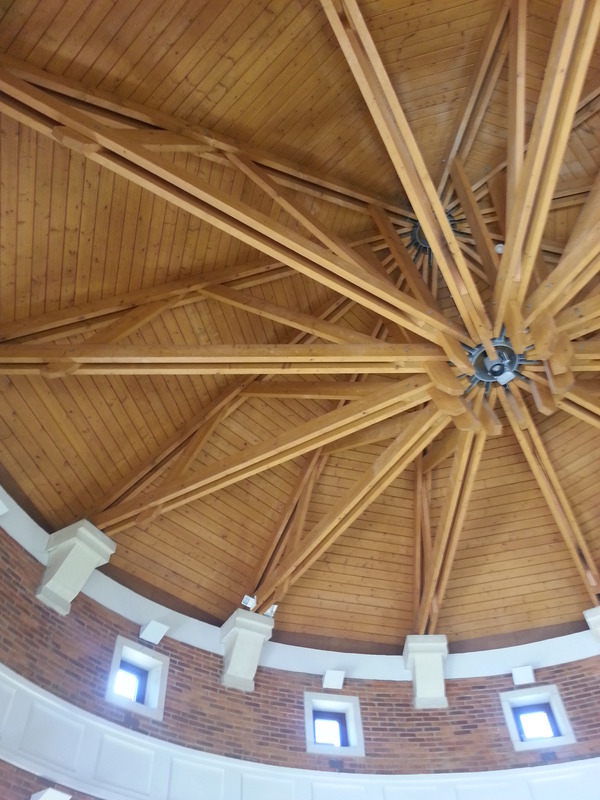 It’s definitely worth the walk from the museum if you’re already visiting. 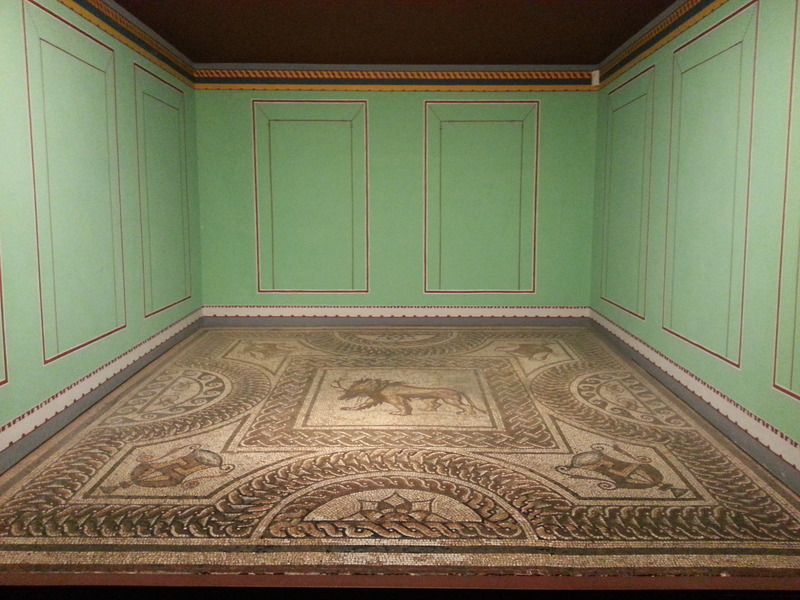 I did admittedly skip over a lot of the signs in the museum, because I just can’t muster up much enthusiasm about every nuance of Roman life, but if you actually are into the Classics, I’d imagine you’d love it. 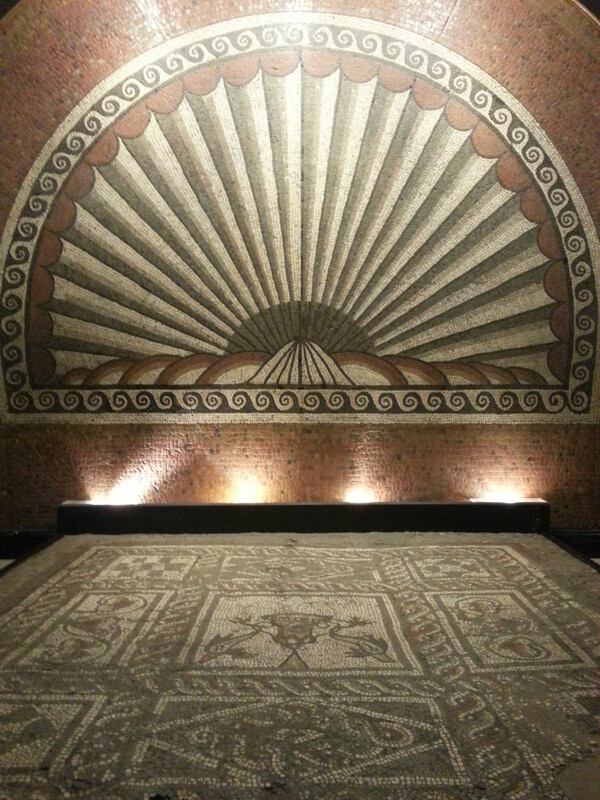 I did very much enjoy the section on burial, and the mosaics were undeniably cool. I’ll give it a 3.5/5.